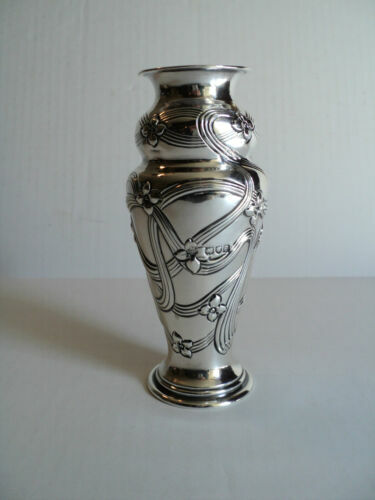 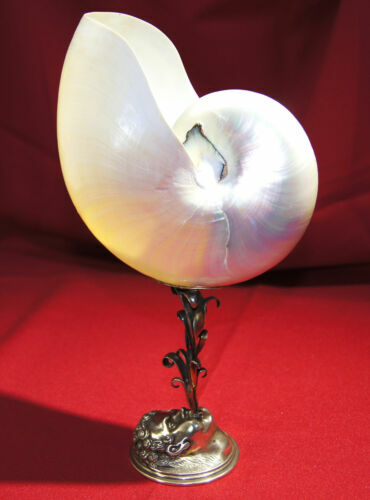 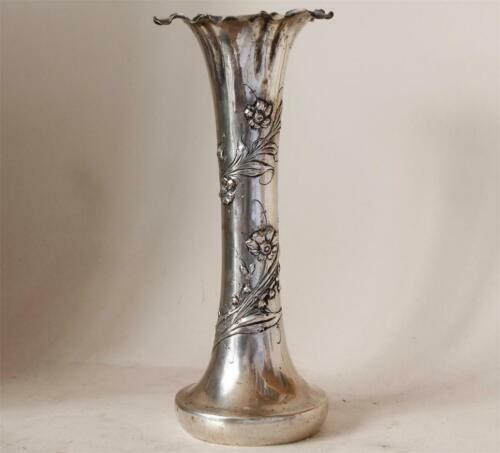 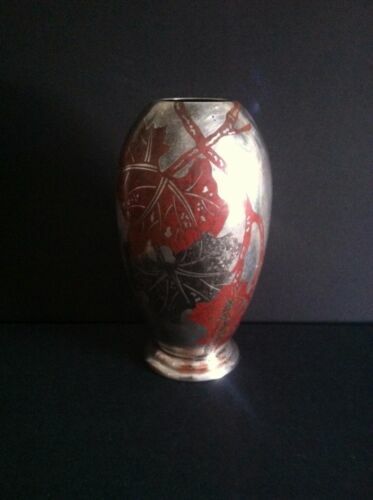 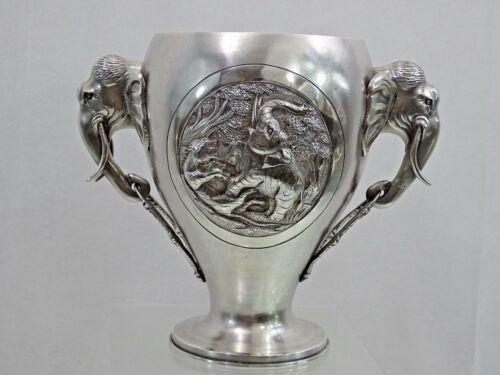 Buy: $2999.99 Antique 19th Century Miyamoto Shoko Tokyo Japan 925 Sterling Silver Vase 6 3/8"
$270.8 RARE VINTAGE ISRAELI SOLID SILVER MULTI-SCENE VASE 1950s-1970s: NO MONOGRAMS 8"
$149.99 Wilhelm Binder German 800 Silver Cut Glass Vase 9 5/8"
$199.99 Antique 800 Silver Repousse Flower Vase H 7 3/4"
$550.0 Dominick & Haff Sterling Vase approx. 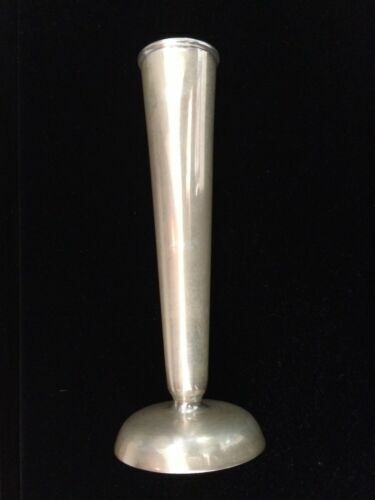 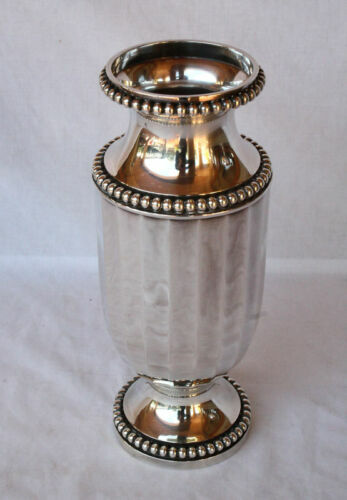 6 1/2"
$2750.0 Gorham Sterling Silver Egyptian Revival Handled Vase 15 1/2"
$129.0 800 silver and cut crystal glass vase 8.5"
$239.0 4 Solid Silver Place Card Menu Holders Bud Vases Wedding Seat Labels F. Coppini? 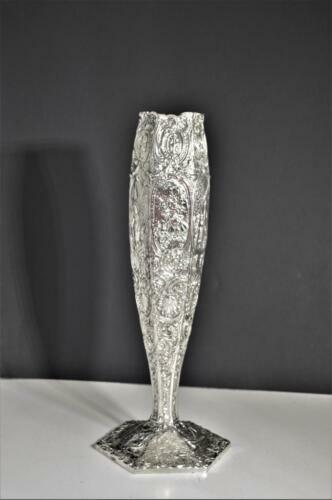 $40.0 Vintage Antique Etched Van Bergh Silverplate Co. Silverplate Vase Art Deco 5"
$499.0 Antique Sterling Silver vases ruffled edges 19th/early 20th Century!